Switzerland's Bencic, ranked 45th, beat the Czech 6-3 1-6 6-2 to claim her first WTA title since 2015. Saturday's victory was also the 21-year-old's fourth in a row against a player ranked in the world's top 10 at the tournament. "This is amazing. I just tried to put as many balls back as possible to create pressure," said Bencic. "I feel great. We worked a lot on my fitness, so maybe that was the secret." Bencic, who lost to 28-year-old Kvitova at the Australian Open in January, started quickly and broke her rival to love in the match's opening game before taking the first set in commanding fashion. 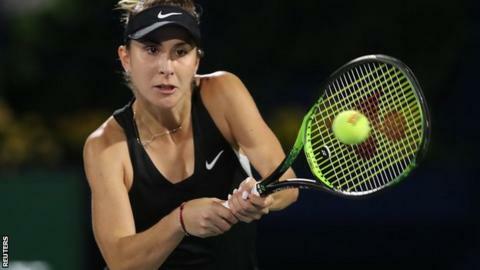 In an impressive run, Bencic beat Romanian world number two Simona Halep, sixth-ranked Elina Svitolina of Ukraine and Belarus' Aryna Sabalenka, who is ranked ninth, on her way to the final.